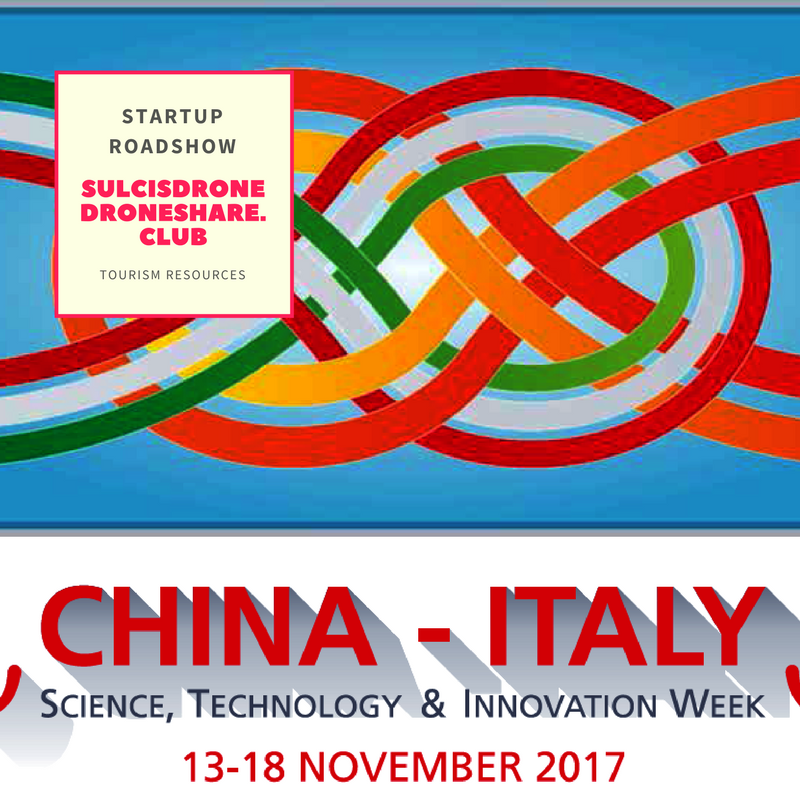 Droneshare.club by Sulcisdrone is among the Italian Startups selected in the China-Italy Best Startup Showcase, in the framework of the Sino Italy official cooperation. The China-Italy Science, Technology & Innovation Week is a matchmaking and networking event held once a year, alternatively in Italy and in China. The event targets Chinese and Italian research centers, universities, innovative enterprises and startups and allows them to have the opportunity to start new partnerships in the fields of research and innovation. The 2017 edition China-Italy Science, Technology & Innovation Week is held in China from the 13th to the 17th of November, gathering, in a single back-to-back format, the two main events of Sino-Italian cooperation: the China-Italy Innovation Forum and the Sino-Italian Exchange Event, both held in the capital Beijing. The China-Italy Innovation Forum is promoted by Ministries of both countries and represents the most important bilateral event in Europe with China in the field of research and innovation. The Sino-Italian Exchange Event is with the scope of supporting the internationalization of the innovation ecosystem. A special program is dedicated to the startups and spin-offs with the Roadshow of startups and the second edition of the China-Italy Best Startup Showcase which aim to facilitate the connection of young enterprises with investors, industrial partners and incubators and support their internationalization processes.